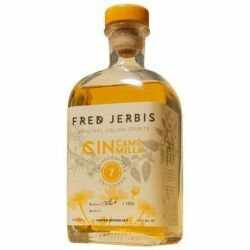 Amaro Fred Jerbis 16 is produced from 16 botanicals all of Italian origin through a single infusion, according to an ancient tradition of the monks.Among the botanicals used stand lime, ash, mulberry, cypress, orange, rhubarb and currant. 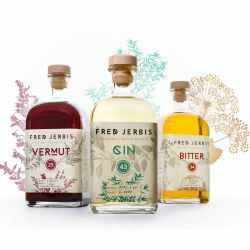 Produced with 7 botanicals of Italian origin and using 4 different extractive methods, Gin Fred Jermis Camomilla is a sought-after Gin and produced in very limited quantities, suitable for the most varied combinations, both for revisited and complex cocktails. Try it in a Gin & Tonic with one of the most classic tonic or in a very special Negroni. Handcrafted and Unfiltered this vermouth is produced using 25 botanical as ancient Italian recipe, in particular we use three different types of absinthe and two orange. Excellent as an aperitif either alone or in combination. An original gin: 43 degrees and 43 botanicals.Inspired by a secret recipe of 1946, this gin is crafted in all its phases and uses only Italian ingredients.Produced in Friuli, with great care and in limited quantities, in order to offer an inimitable flavor.